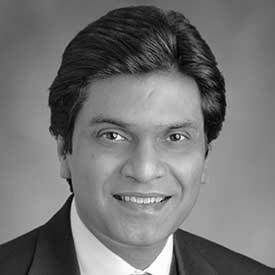 Arif Ahmed is the SVP of Mobile Payments Innovation at U.S. Bank. His current area of focus is identification of trends, building eco-system partnership and developing and testing new ideas/opportunities in the mobile commerce and payments space. Prior to U.S. Bank, Arif worked at MPOWER Group/Venture – a group of early/mid stage companies focused on emerging financial services – where he held various executive roles ranging from heading product and technology for their global prepaid card business, to developing new global initiatives to heading MPOWER Mobile, an affiliate mobile payments company. Prior to MPOWER, Arif was the Group Head of Strategic Initiatives & Business Development at United Bank, Ltd., one of the largest banks in Pakistan. In these roles he has been responsible for a number of key initiatives – both in the U.S. and internationally-- in Online Banking, Mobile Payments, Payment Cards & Acceptance, Branchless-Banking & Under-banked Financial Services and Online Cross-border Remittances. Prior to these roles, Arif held various technical and strategy & business development roles at Motorola and 3Com. Arif has an MBA in Business Administration from Kellogg Graduate School of Management at Northwestern University and obtained his B.S. and PhD. in Electrical Engineering from the University of Oklahoma.